2018 is the year for Charis Ow, Malaysia’s very own multi-talented content creator who is also well-known for her role as Head Mouseketeer of Club Mickey Mouse. 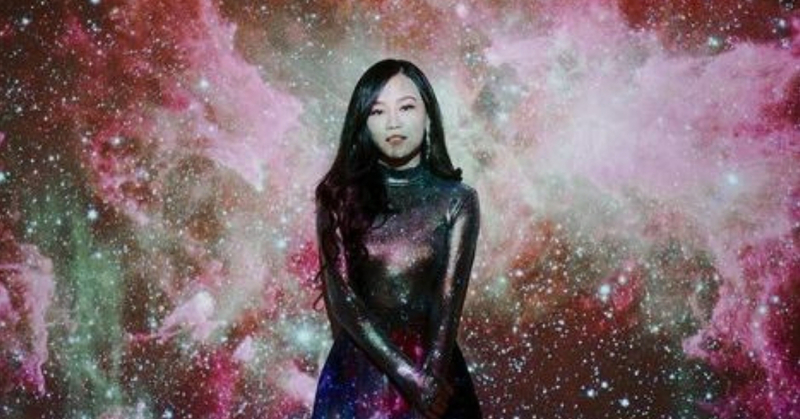 With over 200,000 views on YouTube for her first single, Supernova, Charis was recently nominated for the Best New Artist award by Anugerah Planet. Sevenpie had the opportunity to have Charis on board for our Featured Interview segment for your viewing pleasure so sit back, relax, and get inspired! 1. Hi Charis! Please tell us more about yourself. Hello! My name is Charis and I am a TV host, singer and a content creator on YouTube! 2. So, you started off as a content creator who does a lot of interesting YouTube videos.Did you know it all along that you’d like to pursue this as your career? As a child, I have always admired Christina Aguilera, Britney Spears and also Backstreet Boys and N*Sync. I grew up singing and dancing whenever I can – in school performances, church and even small competitions – so being able to entertain has been always a part of who I am. I love being both in front and behind the camera and as someone who did not start with a road perfectly paved out for me, I taught myself many things such as coding, filming, editing and also singing, dancing and playing musical instruments. 3. You are also the Head Mouseketeer of Club Mickey Mouse Malaysia. What are some of the highlights about being a part of such a well-known TV franchise? Growing up, I have always loved singing to Disney songs and watching the cartoons, so, it is pretty awesome to be part of something so familiar yet grand. Besides that, to be a Mouseketeer is just like being a legacy and successor of Britney Spears, Justin Timberlake, Christina Aguilera and Ryan Gosling! That’s pretty cool too! 4. With such a hectic schedule and tours, how did you juggle it all on top of all the other things that are happening in your life? With God’s grace. *laughs* I’ll try my best to get everything planned out beforehand and stay organized. To be honest, I am still very bad at juggling everything; but, I try to take one step at a time. 5. Your 1st single, Supernova was recently nominated for the Best New Artist award by Anugerah Planet (congrats for that!). What were your initial thoughts and reaction when you heard about the nomination? I was in Paris when I heard the news! I was very surprised because I stepped into the music world in Malaysia as an independent artiste with no funding, no music label, no management, no contacts/network and no elaborate marketing strategies. But, since it was my first ever single, I wanted it to be great. I wanted it to be the best work I’ll ever produce. I wanted to prove that I can make my dreams of having my very own music video come true if I believed & worked hard enough. And hey, that dream came true and right now, I am being nominated for it too! 6. We can all agree that producing a music single is not an easy task. Based on your experience with Supernova, can you share with us about some of the ups and downs that you’ve encountered while putting Supernova together? I worked on the MV with a talented team (@weareprojectroom), including every little detail from drawing out the storyboard to presenting & pitching to brands who (thankfully!) supported my dreams & believed in me, from the wardrobe styling to the hair & makeup, from recce-ing locations to getting my choreographer, dancers & talents. There were so many challenges and issues that were working against me during that time. I broke down many times. I cried & wanted to give up. Fortunately, I had great friends and teammates behind me who would constantly support and remind me of the reason I do what I do and why I love doing it! 7. Are there any upcoming projects in the coming months of 2018 which we all can look forward to? 8. What are some of the turning points and major events in life which have contributed to the person you are today? I probably cannot list down any major events but I believe that everything – that happened in my life had definitely contributed to the person I am today – every experience, encounter, person that came into my life, blessing and challenge! 9. Who is your greatest inspiration in life? My father! He is living proof of the saying “without hard luck, there is always hard work!” He did not come from a wealthy family but he has always done his best in providing for me and my siblings. 10. You are a role model to a lot of young fans. What are your advices to those who’d like to pursue a career as an artist but not quite sure where to begin? I’d like for them to pursue what they are passionate about and not think of the “what ifs”. But, at the same time, they should also know that the entertainment world is not all glitz and glamour because there are A LOT of work and effort required. Sevenpie wishes Charis the very best for the upcoming Anugerah Planet which will be taking place real soon! If you like to know more about Charis, follow her on her Instagram page to learn more about her!